Indah Water - Peraduan Bayar & Menang. Dengan membayar bil pembetungan Indah Water Konsortium, anda berpeluang memenangi hadiah menarik dan istimewa! Step 1 : Pay Your Bill* & Stand A Chance To Win! 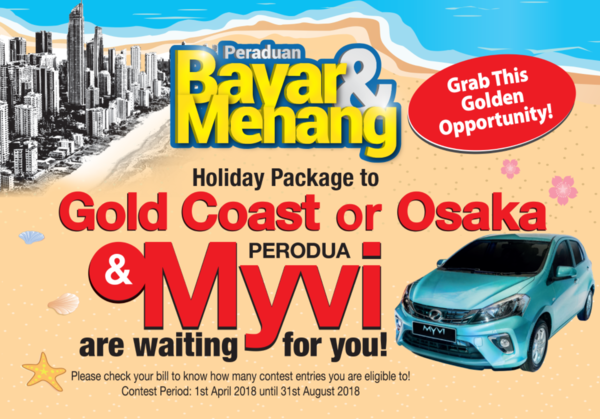 To qualify for Grand Prize, Participants are required to settle all bills up to August 2018. To qualify for Special Prize Round 1 (1st April 2018 – 31st May 2018), Participants are required to settle bills by 31st May 2018 (“Qualified Entry Round 1”). 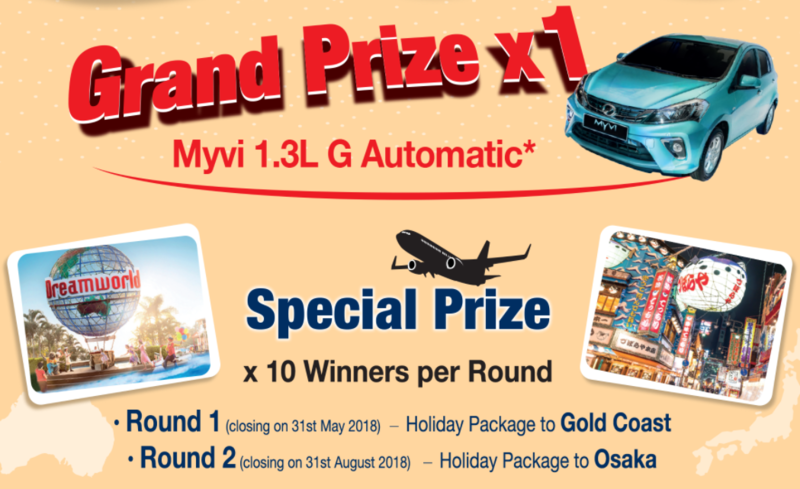 To qualify for Special Prize Round 2 (1st June 2018 – 31st August 2018), Participants are required to settle bills by 31st August 2018 (“Qualified Entry Round 2”). Step 3: Register for IWK e-Bill to earn more contest entries. Participants who register for IWK e-Bill via www.iwk.com.my/customer/ebill will receive additional two (2) contest entries automatically.